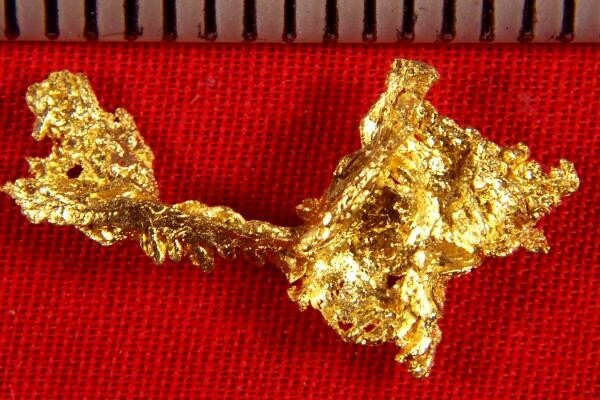 Crystalline Gold Nuggets from the famous Eagles Nest Mine are certainly very beautiful. The intricate gold crystals are interlaced together in such interesting shapes. This gorgeous natural gold nugget is very long at 7/8" and it weighs 24.4 Grains (1.58 Gram). 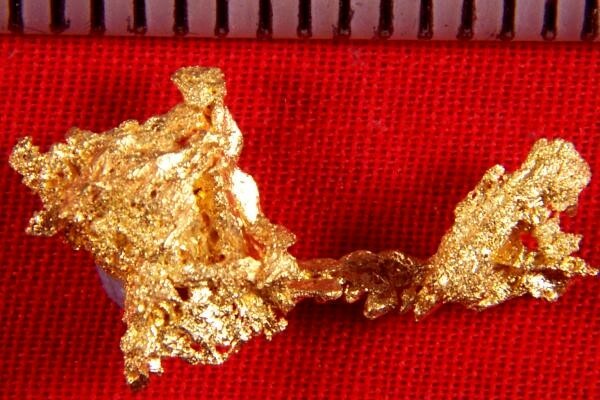 It has a huge surface area for such a well priced gold specimen.